1. Gas water heater is a gas appliance. It adopts gas as fuel, transfers heat to cold water by combustion heating. The cold water flows through heat exchanger. In this way, cold water is warmed up to be hot water. Flue type gas water boiler is developed on the base of flueless water heater. Anti-backward wind exhaust hood and smoke evacuation system are installed on original flueless water heater, and then flue type one comes into being. 2. At present, gas water heaters on the market can be classified into flue type, forced exhaust type and forced exhaust & air-supply type. Flue type takes the indoor air for combustion and uses exhaust pipes and natural draft to exhaust the gas out of the room. Forced exhaust type also takes the indoor air for combustion, but uses exhaust pipes and fans to exhaust the gas out of the room. The forced exhaust & air-supply type is connected with air out of the room and uses natural draft to supply and exhaust gas. Gas water boiler uses combustible gas as fuel and can be divided into flue, forced exhaust and forced exhaust and air-supply type. 1. 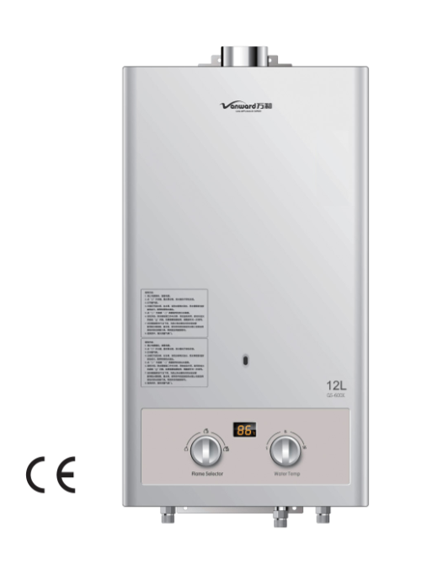 Flue type water heater: Flue must be installed and kept clear for exhausting, and prevent flow backward. 2. Forced exhaust type gas water heater: Smoke is exhausted out of the room by force when working, but the oxygen needed for combustion is still taken from indoor. 3. Forced exhaust and air-supply type: It does not consume or contaminate indoor air. However, like installing an air conditioner, a passage shall be reserved when installing this kind of water heater. 1. Gas water boiler is able to supply a continuous hot water. 2. It is easy to install and with high reliability. 3. 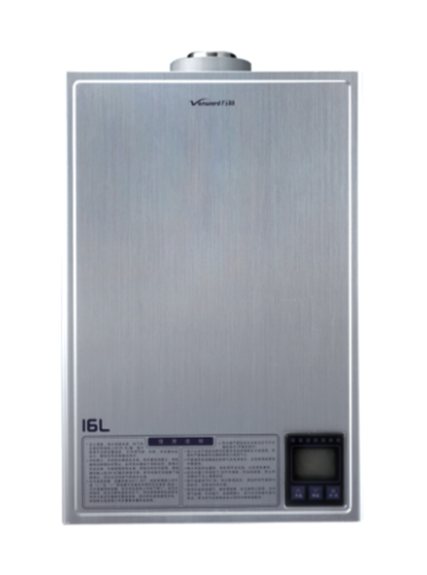 It is endowed with high thermal efficiency and low operating cost. 4. You can get hot water upon turning on it with no need to wait, and save a lot of space as it covers tiny area. 5. It is endowed with rapid heating, great water yield, stable temperature, little incrustation and not controlled by water flow. 6. 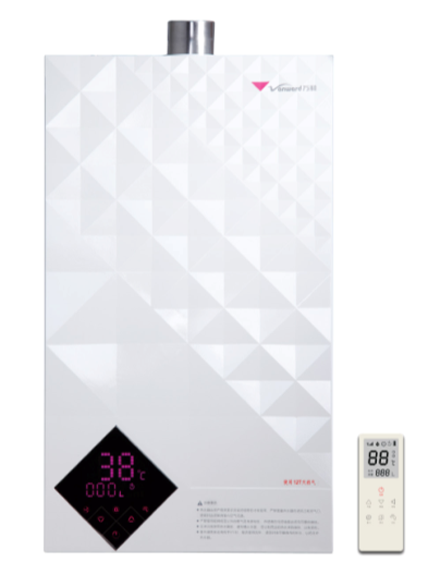 Technical innovation: technical innovation is the core competitive advantage to develop Vanward gas water heater. Please study the gas water boiler operation instruction on clearing and maintenance, and adhere to application methods of instruction and indication. Installation of gas water heater is of high importance, and exhaust of smoke shall be ensured. For cold areas, forced exhaust and air-supply water heater with strong antifreezing capability is recommended; for other areas, outdoor installed one is recommended as it is safe; if it is to be installed indoor, forced exhaust type is recommended. Apart from forced exhaust and air-supply type, other gas water boiler shall not be installed in bathroom or other enclosed space where people live.